^ About the Australian Local Government Association. （原始内容存档于2009-03-11）. ^ Local Government Act 1989 (PDF). [2009-03-13]. （原始内容 (PDF)存档于2006-11-08）. 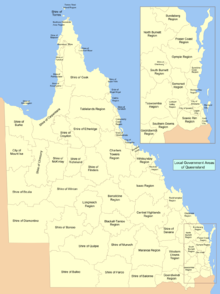 Australian Bureau of Statistics: Australian Standard Geographical Classification (ASGC) 2005. Download Page for the Local Government Reform Commission's Report and Recommendations. [2009-03-13]. Outline of the Queensland's Local Government Reform Processes & Agenda. [2009-03-13].